Join us for the Easter Egg Hound Hunt, an egg-cellent Spring event! 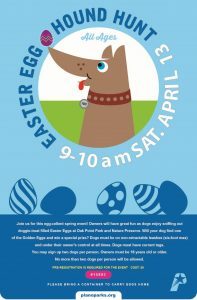 Owners will have great fun as dogs enjoy sniffing out doggie-treat filled Easter Eggs at Oak Point Park and Nature Preserve. Will your dog find one of the Golden Eggs and win a special prize? 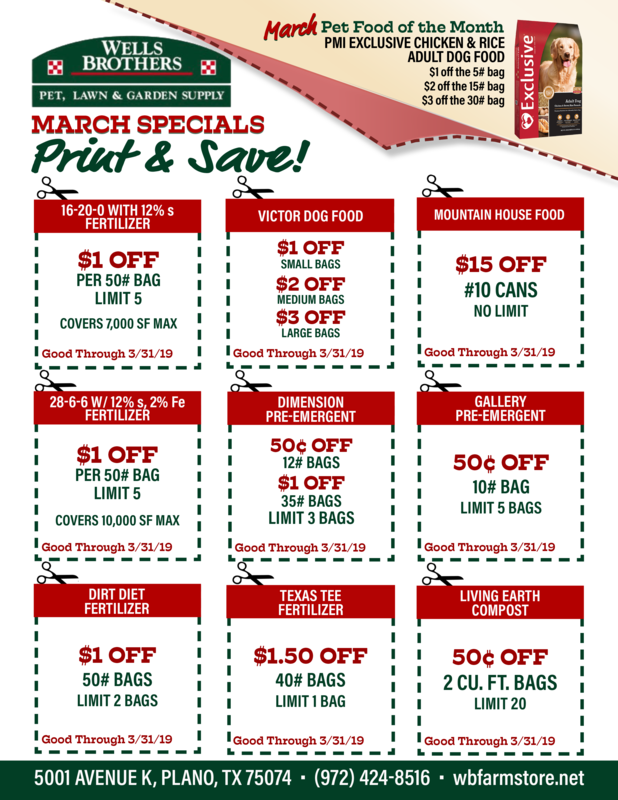 Wells Brothers Pet, Lawn and Garden Supply is proud to be a part of this pet-friendly event. Dogs must be on non-retractable leashes (six-foot max) and under their owner’s control at all times. Dogs must have current tags. You may sign up two dogs per person. Owners must be 16 years old or older. No more than two dogs per person will be allowed. Cost is $9. Click here to register through the Plano Parks and Recreation. Register with course #15893.